Take a historic excursion across a state that is often mistaken as the home of grain and corn production, and little more. Countless manufacturing centers in northern Indiana strengthened the economic fabric of Hoosier land. The railroads that criss-crossed northern Indiana were instrumental in populating the small towns and larger cities by employing thousands over the course of many years. 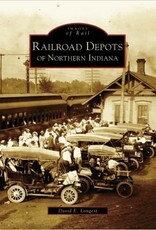 Through photographs of depots, freight houses, and other railroad structures, long demolished yet an integral part of community development, Railroad Depots of Northern Indiana reviews the history of the cities and towns that used the rail to transport raw materials and finished manufactured products across the state to markets such as Detroit, Chicago, St. Louis, and Cincinnati. 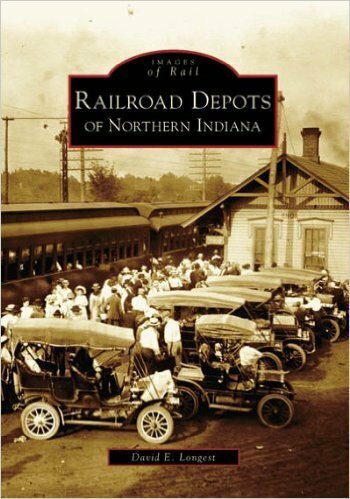 This book also tells the story of a short line railroad and the commodities it has transported for the past century, as well as the longest-existing interurban, still operating just south of Lake Michigan, the resilient South Shore Line.